Today we’re excited to announce the addition of Apple News support for WordPress. 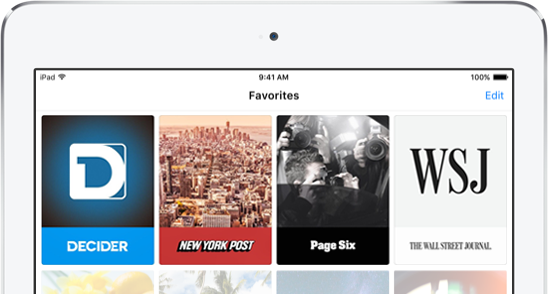 News is an all-new app built right into iOS 9 that delivers news and magazine stories to millions of readers. Publishers can create beautiful layouts with custom typography, photo galleries, videos, and animations—and with support for News now tightly integrated into WordPress, you only need to author once and your content will automatically be optimized for iPad, iPhone, and iPod Touch. For WordPress.com VIP customers, you can enable the plugin from your WordPress dashboard, or directly in your theme. It’s also available on Github. We’d like to thank our friends and partners at NY Post and Alley Interactive, as well as the team at Beezwax, who spearheaded, sponsored, and built this plugin—and have generously made it available for everyone in the WordPress community to use. Apple News Format is not yet available to everyone. Click here to sign up as a publisher and get notified when Apple News Format becomes available.